Side Sleeping: What Side To Sleep On With Acid Reflux (GERD)? A good night’s rest can be the difference between a day of inspiring productivity and a day of extra coffee and feeling sluggish. Many Americans, however, are suffering from sleep deprivation for reasons they may not expect. Acid Reflux and GERD (Gastroesophageal Reflux Disease) affect more people than you might expect, and many sufferers of nighttime heartburn and stomach discomfort find themselves researching best sleeping position and side sleeping to reduce acid reflux symptoms. In this guide, we will explore how acid reflux and GERD sufferers can get a better night’s sleep by sleeping on their side and which side will provide the most relief. 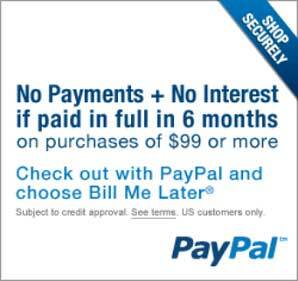 What Side to Sleep On? Can Sleeping on Your Side Affect Acid Reflux Discomfort? The short answer to the side sleeping question is that the left side is the best side to sleep on to relieve acid reflux symptoms — at least in general. To understand the full picture, though, it’s important to understand the details of side sleeping. Many individuals suffering from acid reflux have heard that side sleeping can help with reducing frustrating and painful symptoms. Unfortunately, not many sources explore the reason for this. When excess acid builds up in the stomach, it can come into contact with the esophagus and can even rise upward towards the throat, causing a number of uncomfortable issues. Severe heartburn, pain, and even the feeling of choking or coughing at night can be the result of acid reflux or GERD. Over time, untreated acid reflux often gets worse, making sleeping even more difficult and even causing damage to the esophagus. While there are many steps sufferers can take to combat acid reflux and GERD, side sleeping is an easy and effective method of natural relief that can not only relieve heartburn pain but can also help prevent damage to the stomach and esophagus. Due to the way the stomach sits within the torso, when we are lying on our backs, acid will pool up inside the stomach and can make contact with the esophagus. By turning to the left side and sleeping at an upward angle, excess acid will flow to its natural location, following the force of gravity, at the larger part of the stomach, reducing the likelihood of uncomfortable heartburn and the like. Right or Left? Which Side is Best for Acid Reflux / GERD? There is a growing body of research that points to the idea that the left side is ideal to sleep on for multiple reasons. While the exact reason that the left side is best for reducing GERD and acid reflux symptoms is not yet known, study after study shows that the left side is indeed best. In addition, it is standard practice for patients to lie on the left side when receiving an endoscopy, a procedure in which a camera is passed through the esophagus to inspect the esophagus and the stomach. The reason the person is asked to lay on their left side is to reduce the possibility of reflux. Having the patient lie on their left side reduces the chance of acid escaping into the esophagus while the scope inspects the stomach. Expert theories as to why the left side is better vary. Some researchers believe that sleeping on the right side causes the muscles of the esophagus and stomach to relax more than is ideal, leading to acid leakage into the esophagus which causes heartburn. Others believe that, because of the way our stomach is shaped, that sleeping on the left side positions the opening of the esophagus above the stomach, on an upward angle, preventing acid from reaching it. What experts agree on is that left-side sleeping is the best for reducing acid reflux. David A. Johnson, M.D’s personal memory trick is to remember the phrase, “Right is Wrong.” Read more about Dr. Johnson’s findings here. Is Left-Side Sleeping Making Things Worse? Though uncommon, some individuals do report that left-side sleeping does not relieve their heartburn and can, in fact, make it worse. While the cause is unclear, it could be that anatomical differences, particularly with the gallbladder, can make left-side sleeping less ideal for certain individuals. In addition, sufferers of bile reflux (not to be confused with acid reflux) may have less success with left-side sleeping, adding credence to the idea that the gallbladder contributes to the success of left-side sleeping. If you try sleeping on your left side and you discover worsening symptoms, you should consider discussing other possible conditions with your doctor, like bile reflux. If you’re having acid reflux or GERD related heartburn, the Reflux Guard may be able to help relieve discomfort. By providing full-body support, Unlike Short Wedge pillows, the Reflux Guard helps make left-side sleeping possible, facilitating much-needed relief. on a side note, Maimonides the most predominant doctor of his time said we should go to sleep on our left hand side and wake up on the right hand side. Mattress Bed Wedge To Remedy Acid Reflux While Sleeping. 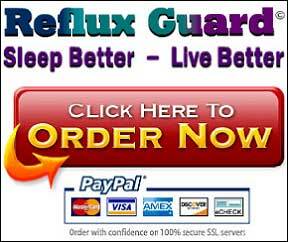 Order Reflux Guard Now.